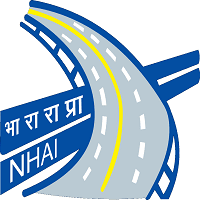 Candidates who want to apply for the above National Highway Authority of India 40 Vacancies can read the information below and go through notification if they want the detailed information. 1. Go to official website and then Recruitment page under About Us. 2. Find the advertisement for Dy. Manager and then read the notification carefully. 3. Check whether you are eligible and then apply online. 4. Fill all mandatory details correctly and then upload scanned photograph and signature. 5. Check the information given in the application carefully and then submit it. 6. Finally, take a printout of online application for future use. 7. If you are unable to apply online then download application form. 8. Fill up the form correctly and then attach necessary documents. 9. Send the application to the given address on or before the last date. 10. Particularly check official notification for the documents to be attached. Starting Date for Application Form : 26-05-2017. Last Date for Submission of Application : 31-07-2017.